Once, there were 13 reactors that provided eternal life for all of mankind. Now, there is only 1 – the Atlas Reactor – and the last great powers of humanity, the Trusts, vie for its control. While immortality for all is no more, the Trusts still allow a select few the privilege of resurrection. These few Freelancers, the most elite citizens of Atlas, fight for and against the Trusts to keep the Reactor bright. It is their shifting loyalties that will determine the fate of Atlas. What side will you choose? Freelancers! Your (eternal) life, liberty, and pursuit of loot is made possible by these generous benefactors. The Trusts of Atlas each control a part of the city, in addition to sharing control over the Reactor and its resources. Appease the Trusts (or upend them), and who knows what rewards you may reap? 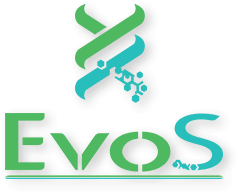 All your genetic dreams come true at EvoS, Atlas’ premiere bio-hybridization Trust. Founded in the former bioengineering center of the world, Oceanus, EvoS brings a legacy of zoological diversity and genetic superiority to Atlas unmatched by any civilization in history. The pioneers of Evolution Solutions dream of a world unbound by the laws of nature. A strong species is the kind that can adapt to any situation imaginable, and with Evolution Solutions at your side, anything imaginable is only one experiment away. Catch Evolution Solutions on social media! Advancing upon a legacy forged over two centuries ago in the heart of Atlas, Omni Trust has taken time-tested nanite technology and digitalized it for the modern world. The most advanced AI in the world built the last bastion of civilization, and it will take even more advanced AI to improve upon it. Reclaim the excellence of the Immortal Age. Seek eternity not just for humankind, but for all-kind. Become an Omni Freelancer today. 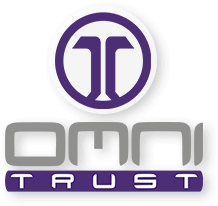 Catch Omni trust on social media! Crank your whole world up to 11! Helio Corps is here to break the reality you know, and reforge it into something more awesome, more epic, and more HELIO. Helio Corps began as a dream, and became a reality through the sheer force of will and ingenuity of its "boy genius" founder. He saw the potential of Atlas and carved himself a brand new place within it. Join him. Re-imagine the boundaries of your world today. Catch Helio Corp trust on social media! Get hyped for Hyperbotics! Rebuilt from the legendary house of Warbotics, Hyperbotics is battle-tested and built to last. Gear yourself to the teeth with the greatest tech the world has ever seen! With everything from turbo-boosted bicuspids and face-melting molars, to a whole suite of warsuits and warbots, a word from you will blow your enemies' minds! 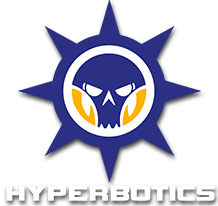 See Hyperbotics on social media! Read the latest tales from the city of Atlas! Find out what happens in the daily lives of all your favorite Freelancers, and get an inside look at the powerful Trusts that control the Reactor.